Exhaust gases leave the engine under high pressure. Without something to slow down the exhaust gases and dissipate the pressure waves, exhaust gases would be extremely noisy as they escape into the atmosphere. This is where the muffler comes in. The muffler is your automobile's primary engine noise reduction device. Higher fuel economy. A MGP muffler helps maintain optimal air levels inside the engine, which in turn reduces its need for extra fuel to compensate for dirty air levels. Meets the regulation norms maintained in each country. 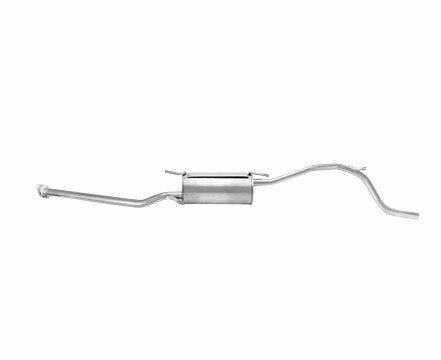 Protects the exhaust system from wear and tear, thermal degradation and corrosion. MGP muffler enhances the appearance of the car .